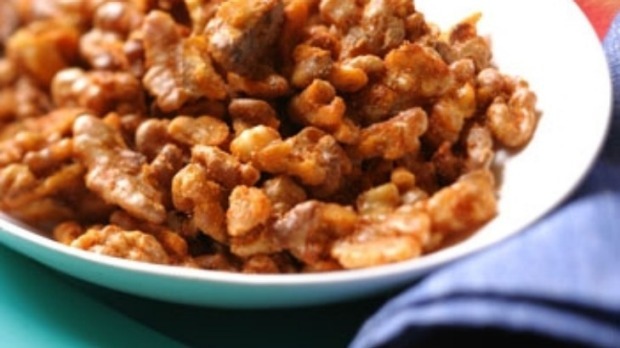 A party staple, spiced nuts are often served at bars because they are a great accompaniment for warm-up drinks. Heat butter and oil with the crushed garlic cloves. When the butter is foaming, drop in the nuts and stir constantly for at least 3-4 minutes until golden. Tip nuts into a colander and then drain on kitchen paper. In a bowl mix the paprika with the sea salt. Tip in the warm, drained nuts and toss to coat. Cool to room temperature.